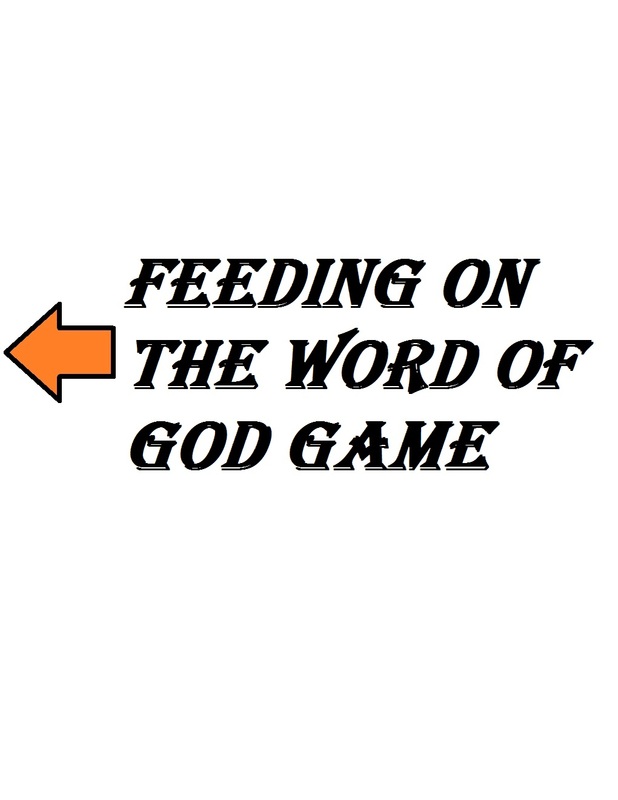 This is a "Feeding On The Word Of God" Game. 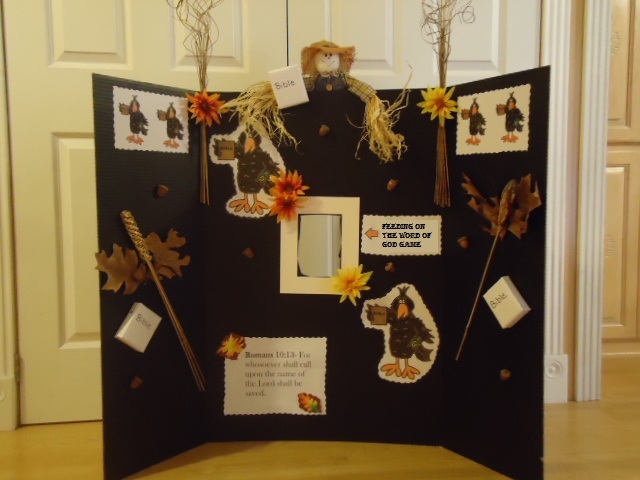 I used a black display board and hot glued acorns and leaves to the board. I had a small scarecrow and hot glued that to the back of the board. I hot glued orange and yellow flowers to the board too. I added some store bought spiral twigs to each side and hot glued those together. I twisted a bread tie on those keep it secure. I found an old square picture frame made of cardboard and hot glued that to the middle of the board. I took some scissors and cut out the middle of where I glued the frame. 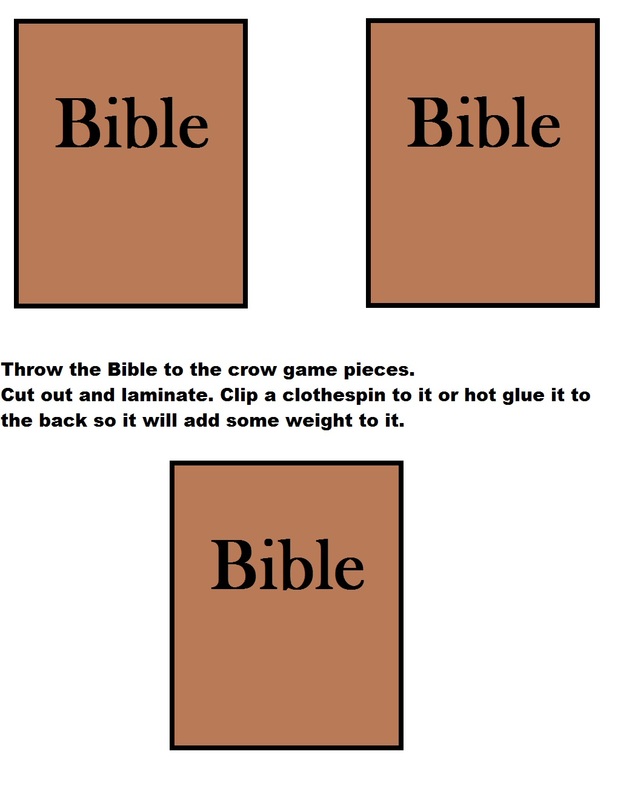 This is for the bible game pieces to be tossed into. 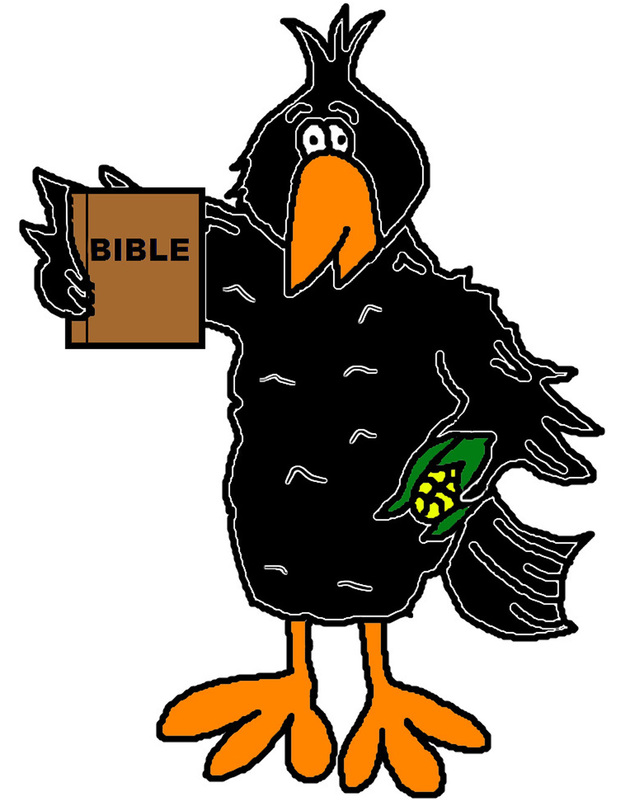 I printed the template of the 3 Bible's and laminated those and hot glued a clothes pin to the back to add some weight to it for tossing. I printed two 8.5 X 11 large crows out and laminated them. I hot glued those in the middle of the board. I printed the other crow template that has 4 crows on it on sticker paper and cut those out and stuck them at the top on each side of the display board. 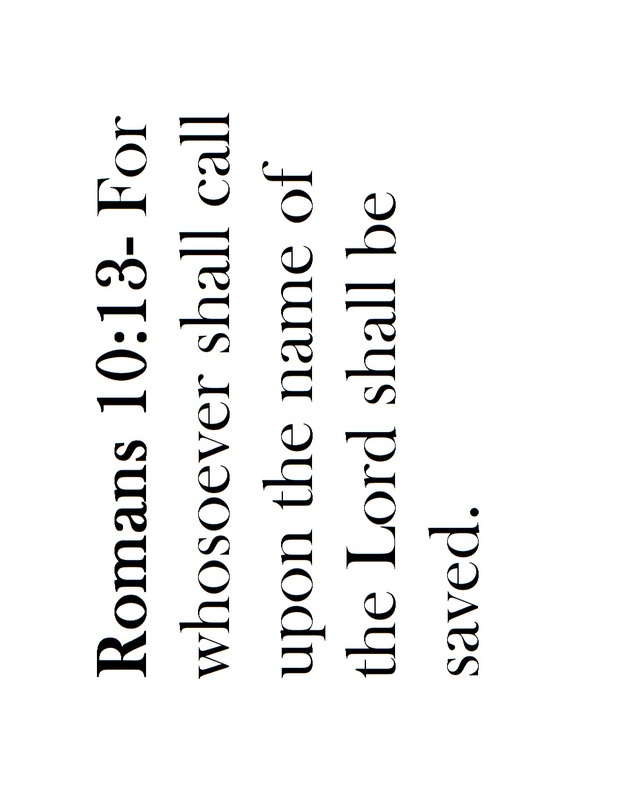 I then printed out the scripture template and taped that on the board. 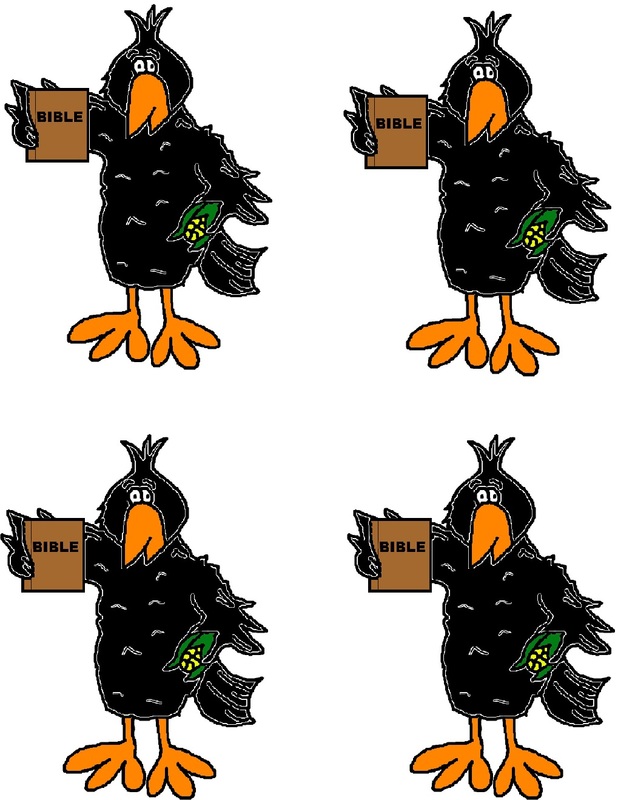 I made some Bibles that I glued to the board that were just jello boxes that I wrapped like a christmas present with white printing paper and taped it. I drew lines at the top, bottom and right side to look like pages of a book. I drew on the left side a bookmark. I just hot glued that on to the display board. This is the hole that I cut out of the display board. I glued a cardboard picture frame around it. Here is my bible that I made from jello boxes and glued to the display board. 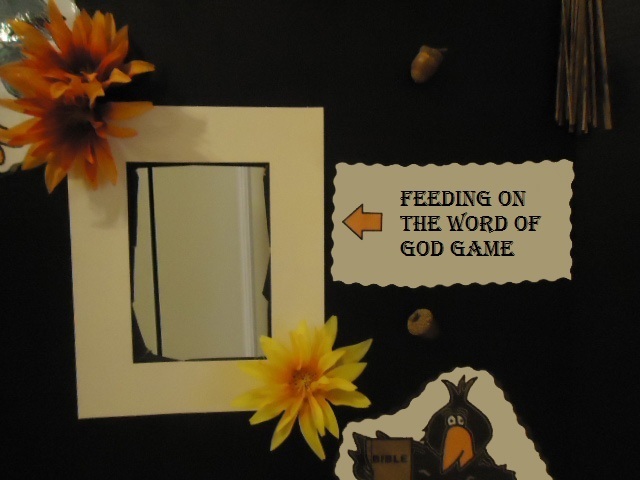 Bible Game Pieces that have clothes pins attached to the back for throwing into the hole on the display board. The kids get three tries.